Debio-1452, a novel class fatty acid biosynthesis (FAS) II pathway inhibitor, was studied in phase II clinical trials for the oral treatment of staphylococcal infections, including hospital and community-acquired MRSA and acute bacterial skin and skin structure infections. Debiopharm is developing oral and IV formulations of a prodrug of Debio-1452, Debio-1450. Infections caused by or related to bacteria are a major cause of human illness worldwide. Unfortunately, the frequency of resistance to standard antibacterials has risen dramatically over the last decade, especially in relation to Staphylococcus aureus. For example, such resistant S. aureus includes MRSA, resistant to methicillin, vancomycin, linezolid and many other classes of antibiotics, or the newly discovered New Delhi metallo-beta-lactamase- 1 (NDM-1) type resistance that has shown to afford bacterial resistant to most known antibacterials, including penicillins, cephalosporins, carbapenems, quinolones and fluoroquinolones, macrolides, etc. Hence, there exists an urgent, unmet, medical need for new agents acting against bacterial targets.. 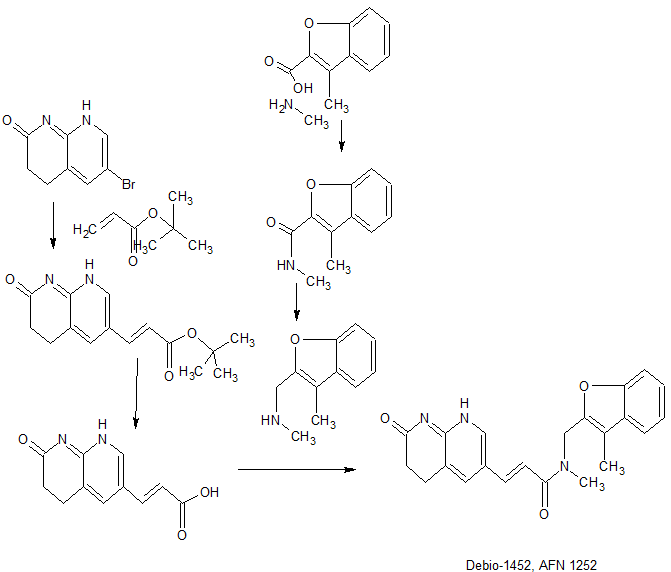 In recent years, inhibitors of Fabl, a bacterial target involved in bacterial fatty acid synthesis, have been developed and many have been promising in regard to their potency and tolerability in humans, including a very promising Fabl inhibitor, (E)-N-methyl-N-((3-methylbenzofuran-2-yl)methyl)-3-(7-oxo-5,6,7,8-tetrahydro-l,8-naphthyridin-3-yl)acrylamide. This compound, however, has been found to be difficult or impracticable to formulate into acceptable oral and parenteral (e.g., intravenous or subcutaneous) formulations, and has marked insolubility, poor solution stability, and oral bioavailability. Much effort, over a decade or more, has been expended to design and synthesize an alternative compound that retains the significant inhibition of Fabl upon administration, but has improved physical and chemical characteristics that finally allow for practical oral and parenteral formulations. Up to now, no such compound has been identified that has adequate stability in the solid state, in aqueous solutions, together with excellent oral bioavailability that is necessary for oral and/or a parenteral administration, and is capable of being formulated into an oral and/or intravenous or intramuscular drug product using practical and commonly utilized methods of sterile formulation manufacture. Debio-1452 is expected to have high potency against all drug-resistant phenotypes of staphylococci, including hospital and community-acquired MRSA. Affinium obtained Debio-1452, also known as API-1252, through a licensing deal with GlaxoSmithKline. In 2014, Debiopharm acquired the product from Affinium. In 2013, Qualified Infectious Disease Product designation was assigned to the compound for the treatment of acute bacterial skin and skin structure infections (ABSSSI). 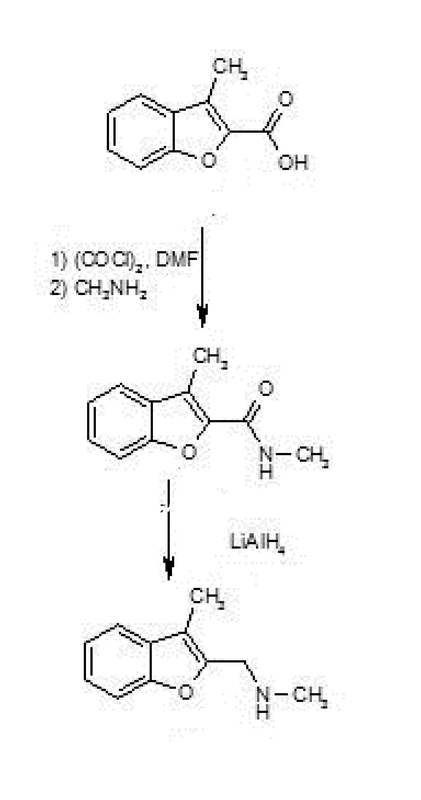 Which is then reduced with LiAlH4 in THF to furnish N-methyl-N-(3-methylbenzofuran-2-ylmethyl)amine. which upon bromination with Br2 in AcOH yields (2-amino-5-bromo-3-pyridinyl)methanol hydrobromide. 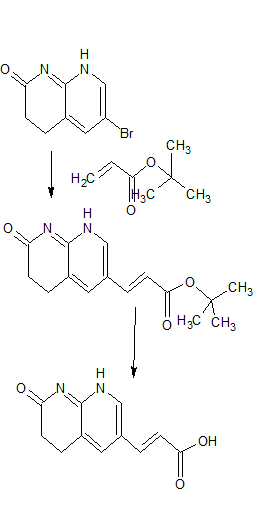 which undergoes cyclocondensation with dimethyl malonate in the presence of NaH in DMF/THF to furnish methyl 6-bromo-2-oxo-1,2,3,4-tetrahydro-1,8-naphthyridine-3-carboxylate. Novel co-crystalline polymorphic form of a binary enoyl-acyl carrier protein reductase (FabI) and FabI inhibitor ie AFN-1252. The FabI was isolated from Burkholderia pseudomallei (Bpm). The co-crystal is useful for identifying an inhibitor of FabI, which is useful for treating BpmFabI associated disease ie melioidosis. Appears to be the first patenting to be seen from Aurigene Discovery Technologies or its parent Dr Reddy’s that focuses on BpmFabI crystal; however, see WO2015071780, claiming alkylidine substituted heterocyclyl derivatives as FabI inhibitors, useful for treating bacterial infections. Aurigene was investigating FabI inhibitors, for treating infectious diseases, including bacterial infections such as MRSA infection, but its development had been presumed to have been discontinued since December 2015; however, publication of this application would suggest otherwise. By DR ANTHONY MELVIN CRASTO Ph.D in Phase2 drugs, Preclinical drugs, QIDP, Uncategorized on April 3, 2017 .